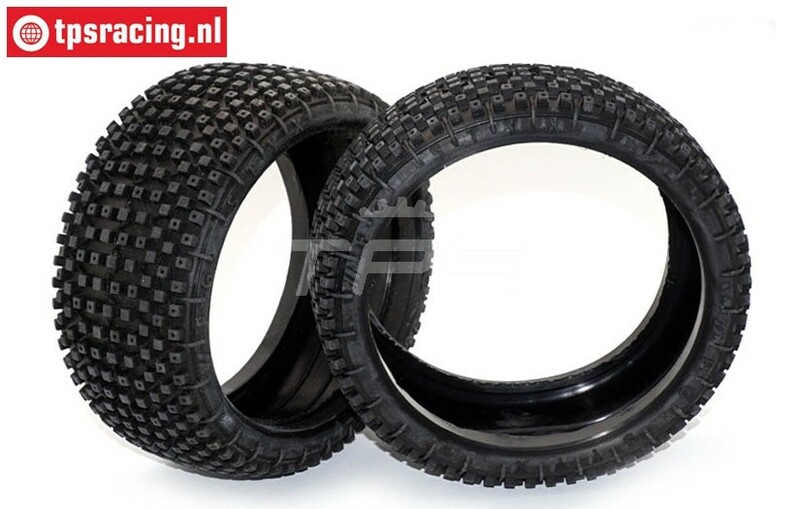 FG67218M Styx Tyres Medium, (Ø130-B65), 2 pcs. FG67218M Styx Tyres Medium, 2 pcs. 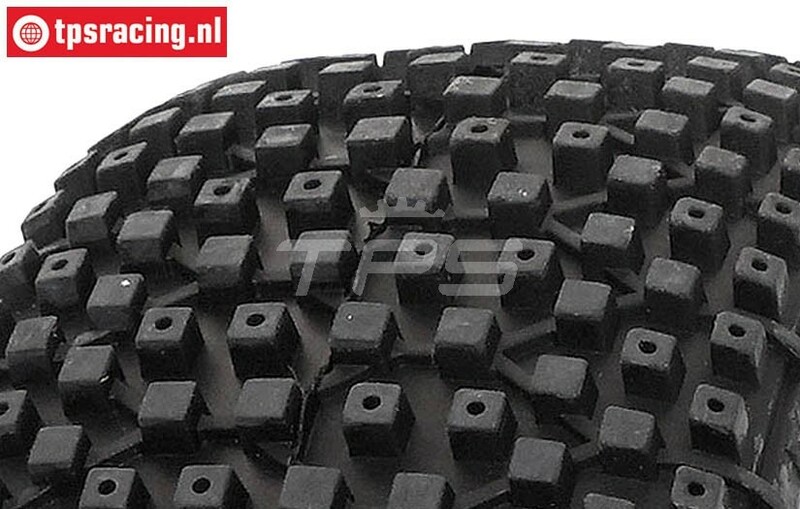 FG Styx Off-Road Tyres NEW! The new Styx tires from FG Modellsport has 540 full and 300 hollow nodes, spread over 10 rows. The studs are interconnected by a honeycomb. The inside is provided with thickenings in the row direction so that the tires can not slide over the foam. This new tire offers more grip, precise control and a longer lifespan. The new tire shape also ensures better suspension and optimal response. These Styx tires are radically different with all other types of tires. FG sets a new standard in off-road tires. The Styx tire is available in Hard, Medium and Soft compound. H for use on synthetic turf and carpet. FG67218H Styx Tyres Hard, 2 pcs. FG67218S Styx Tyres Soft, 2 pcs. FG6509 Super gleu Thin 20 gram, 1 pc. GWF16X GRP Tyre insert Extra Soft, 2 pcs. FG67222 Tyre Foam Ø130-Ø160-B60 mm, 2 pcs. FG67205 1/6 Rim 10-Spoke White Ø130-B65 mm, 2 pcs. GH99Y 1/6 rim GRP BU-BIG Yellow, 2 pcs. GH98Y 1/6 rim GRP BU-BIG Yellow, 2 pcs. GH99H 1/6 rim GRP BU-BIG White, 2 pcs. GH98H 1/6 rim GRP BU-BIG White, 2 pcs.